This is an extremely belated HSM post but I assure you that I did, in fact, complete these items back in July! I ran out of time to photograph and write about them…but better late than never, right? The first accessory that I made was for my brother. A jabot to go along with his pirate vest that will cover the gap between it and his neck stock. It was quick and easy to make; one evening’s worth of work. 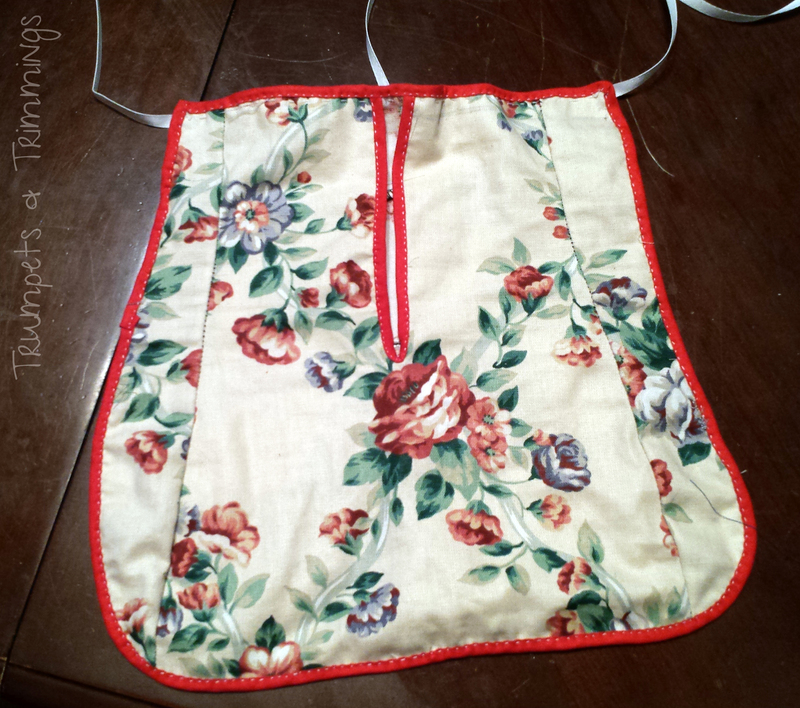 I cut up some trim off of an old Victorian bodice and mounted it onto a rectangle of cotton. I read through this tutorial before sitting down to do my work, which helped a lot. How historically accurate is it? Uh, it looks accurate, overall. Not the fiber content, though. 75%, I’d say. Hours to complete: 1 hour or less. First worn: Early August for a photoshoot. Total cost: $0. All from my stash. 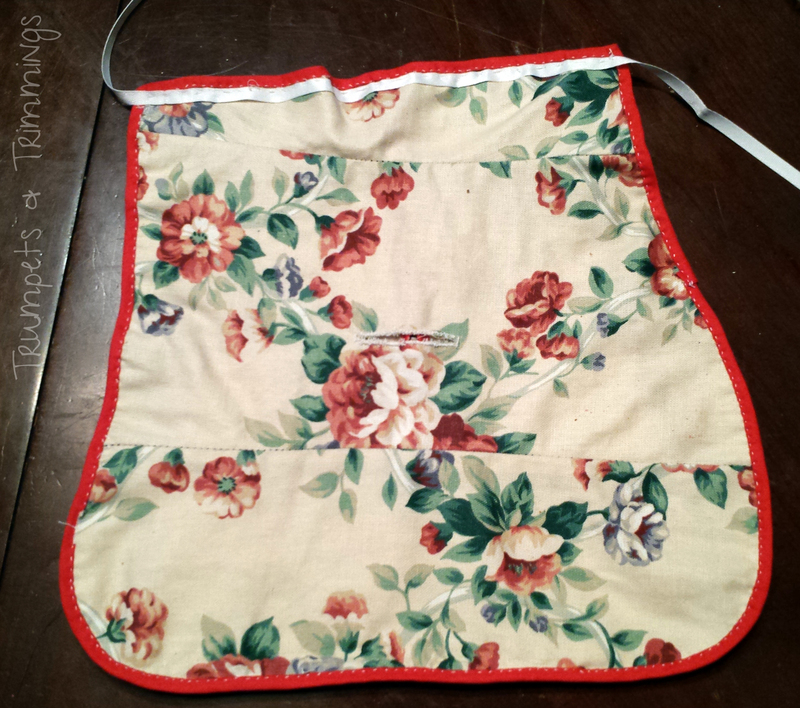 Next up was an 18th century pocket for my sister. I did a fair amount of research leading up to it and found that styles really ranged according to personal taste and materials available. So, I went with a period technique of re-using fabric from other garments and used up more of the old bodice from the Jabot project. 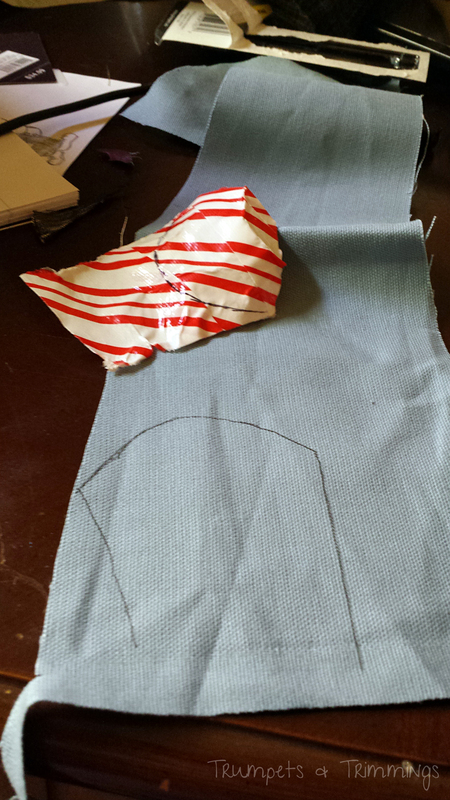 I drafted a quick pattern on a piece of notebook paper and it was all done over the course of two lazy, summer afternoons. The sides look weirdly curved in the photos but I promise they’re straight in person! 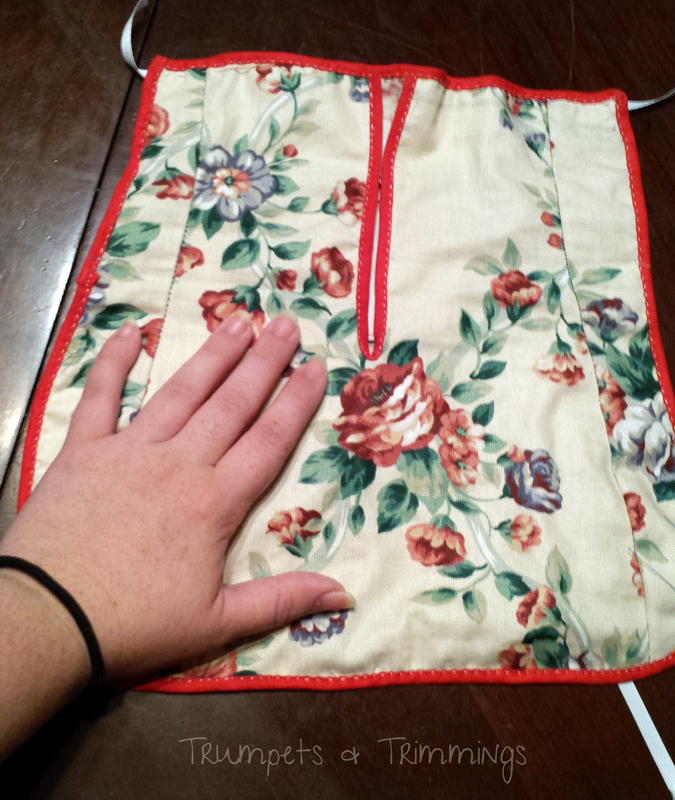 And you’ll probably notice that there’s a buttonhole halfway up the back; it’s to accommodate an insulin pump. How historically accurate is it? Well, it shares the spirit of 18th century pockets. Probably only around 30%. Hours to complete: About 4-5. I was content to leave the month’s challenge with what I had already done, but on the second-to-last day of the month I did a bit of shopping at Goodwill and came across just the pairs of shoes I had been looking for. I snatched them up and cleared my schedule the next day so I could get them both done. I did some hasty research and read through this, this, and this tutorial before starting. First up: a pair for my sister. 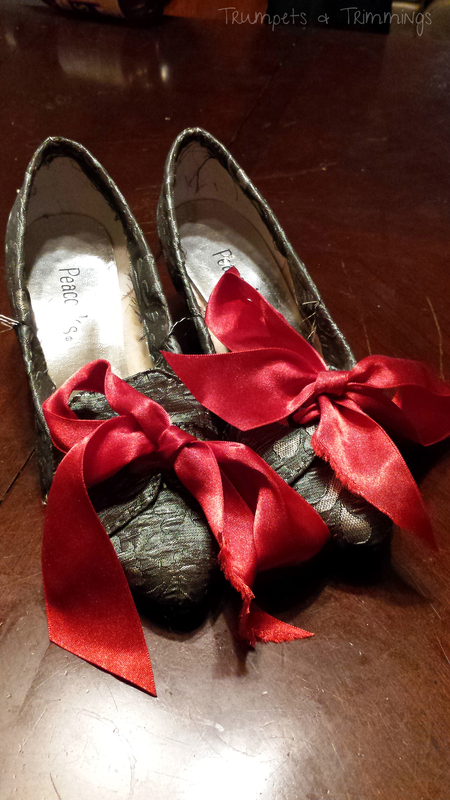 This is how they started out: dyed pink pumps probably worn once for an event and then donated. There’s no wear on them at all! 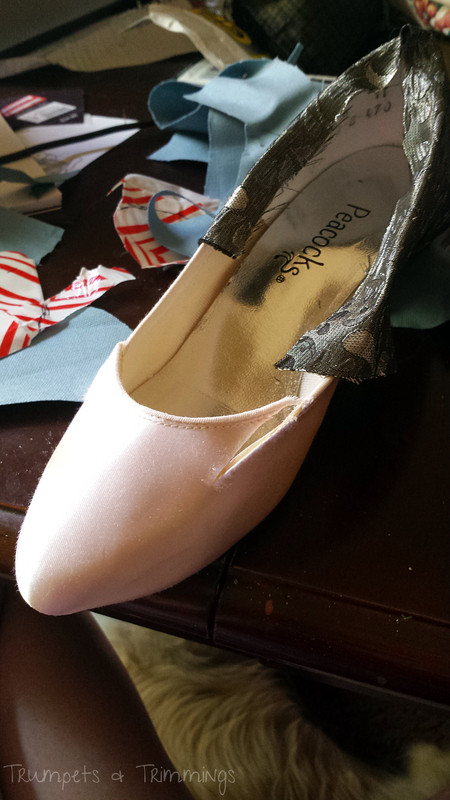 I tore the sole off and used shoe glue to cover the upper with silver fabric. Then I sliced a couple inches down on both sides of the toe and used duct tape to make a template for an extended tongue. I cut it out of some leftover cotton duck and glued it onto the upper using some shoe glue before covering it, too, in the silver fabric and held it down with with bobby pins. While it dried I cut out tabs out of the same blue duck. Finally I sewed across the bottom, attached the tabs, glued some leather on the heels, reattached the soles, and bound it all up to dry overnight. How historically accurate is it? Like 25%. 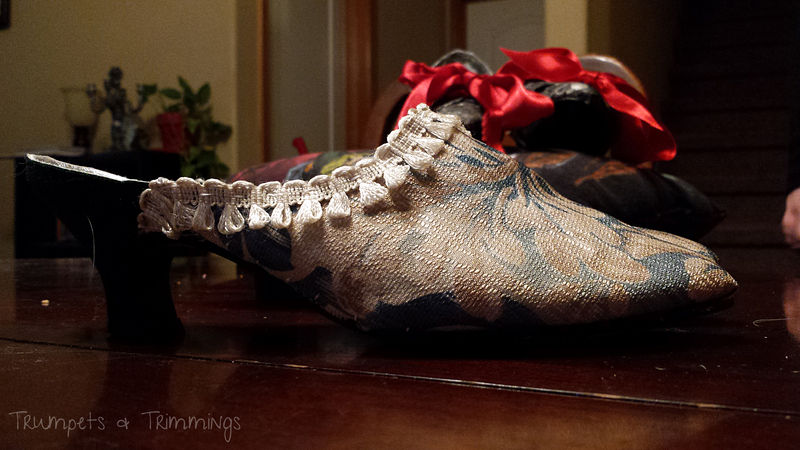 It’s in the ballpark of 18th century shoe design. Hours to complete: About 5. 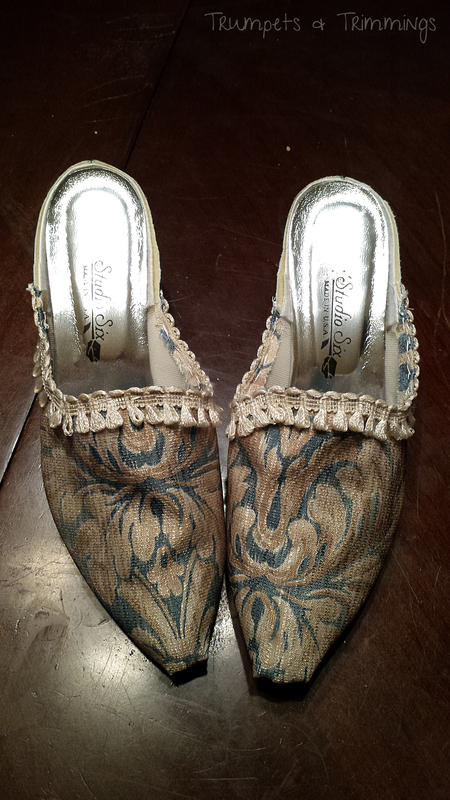 Total cost: 4.99 for the shoes. Everything else from stash. I cut away the sides to make mules and used some more duck to extend the tongues. 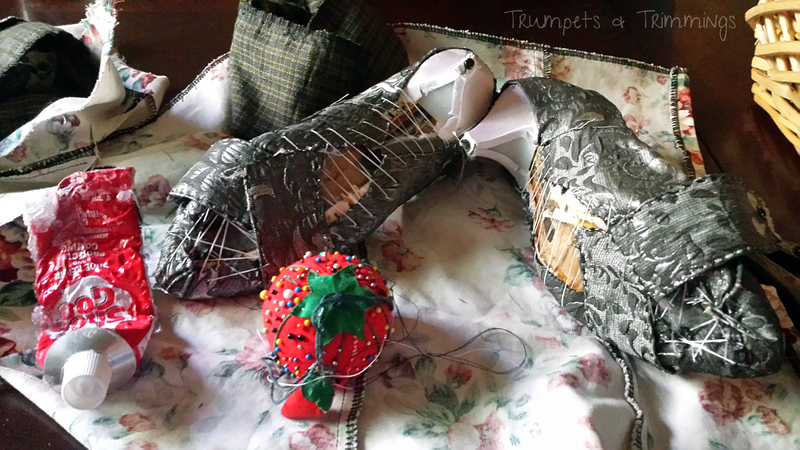 I stiffened them with shoe glue and then glued and sewed them on so there was no danger of them coming loose. 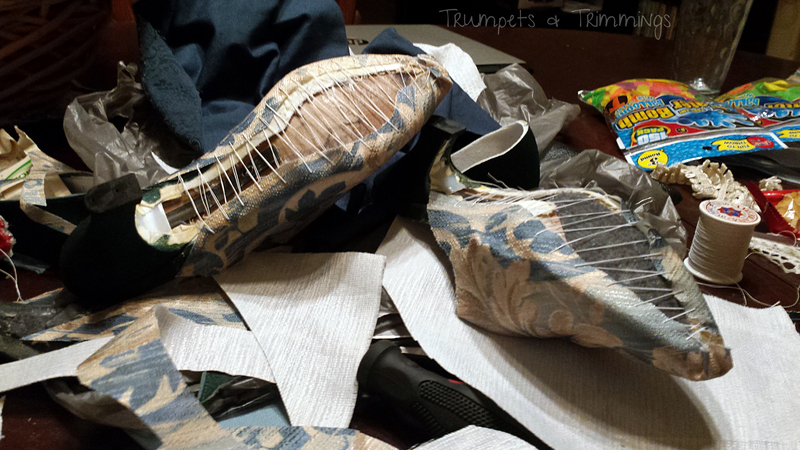 Lastly I pulled off the soles, glued some fabric on the uppers, and then sewed across the bottom. 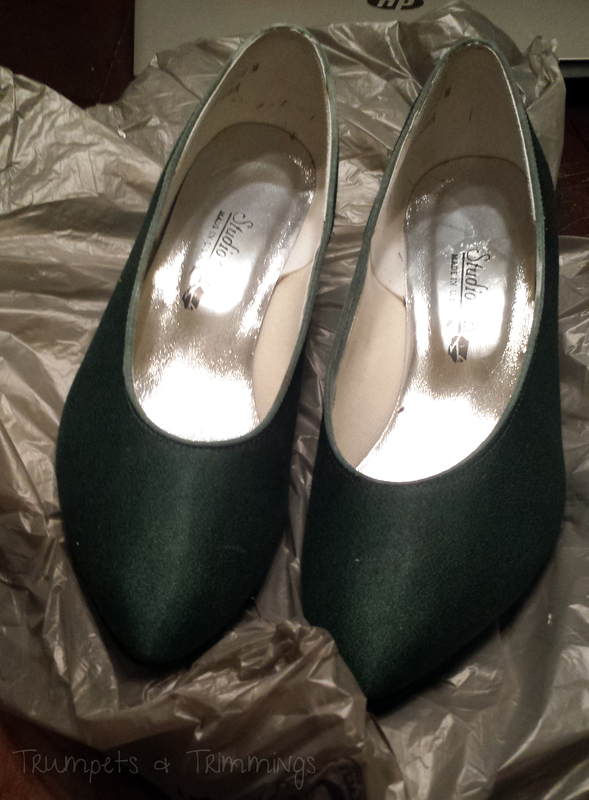 I left the heels green and, as one final touch, sewed lengths of cream trim across the tops. I bound them up to dry overnight alongside the first pair. How historically accurate is it? Maybe 35% this time. The shape is more accurate. Total cost: 4.99 for the shoes (with extra 30% off, I think). Everything else from stash. So there we have it! A busy month with a lot to write about…but I finally got it done!